Whether it’s telling an employee that their performance is lacking, talking to a co-worker about acceptable behavior in the work place or expressing to a friend that the comment they made the other night was hurtful, discussing sensitive issues is the key to maintaining both positive personal and professional relationships. But for those of us who tremble with anxiety and experience symptoms associated with the stomach flu at the slightest mention of a confrontation, simply not acknowledging the issue is an attractive alternative. Unfortunately, this method will resolve nothing and can afford serious consequences down the line. Addressing the issue might be difficult, but it will be much easier right off the bat than if you wait for the problem to develop even further. It's no secret that the most important conversations are the hardest, but in order to successfully resolve an issue, pre-planning and strategizing are necessary. Because outlining an effective conversation agenda is no simple task, MDPR put together a few tips to help you tackle this uncomfortable task. Identify the problem or whatever is creating tension. Focus the conversation on what is really pushing your buttons. You are less likely to succeed if you drag in unnecessary tangents that would detract from the main purpose of the conversation. Ask yourself what you want to achieve from the conversation. Set realistic goals for what you want out of the conversation and go into it knowing that you will have to make compromises. Remember that you and your partner are most likely coming from opposite sides of the spectrum, so finding a happy medium is a good place to start. Even if the other person is at fault, placing blame will make your partner feel like she has to defend herself. This will make any resolution nearly impossible. Instead, focus on what you want the future to look like and less on right and wrong. Even if you are furious with the other person, good, old-fashioned manners will create a mindset between you and your partner conducive to problem-solving. The other person is more likely to respect you and your requests if you are polite and level-headed. Many times, the other person will graciously accept your complaints, and you both can move on. However, tears, yelling and finger-pointing are also possibilities, so prepare yourself for a variety of emotions. Let the other person vent, but stay focused on the purpose of the conversation. The other person is bound to voice some of their complaints as well. Listen to what is bothering her and paraphrase it so you all have the same understanding. Do the same after reaching a solution so there isn’t any room for confusion. It’s a good idea to follow up with the other person after a couple days to ensure there are no hard feelings and that the solution you both reached is still understood. Show that you are dedicated to making it work and are excited about the potential positive outcomes of your new agreement. These are just a few tips to help you formulate a plan for your difficult conversation. A lot depends on the situation, but keeping an open mind and a clear head will go a long way. For a more comprehensive guide to addressing complicated issues, read Crucial Conversations. 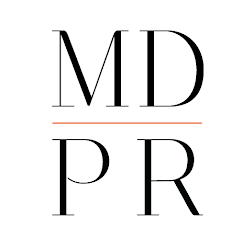 Let us know if you have any helpful tips by tweeting us at @monikadixonpr.com! The blog topics is very helpful. Recently I was visit About Difficult Conversations related topic.